This young fella is an adult male melanistic reef manta, seen 10 times (9 times at Manta Rock and Ridge). 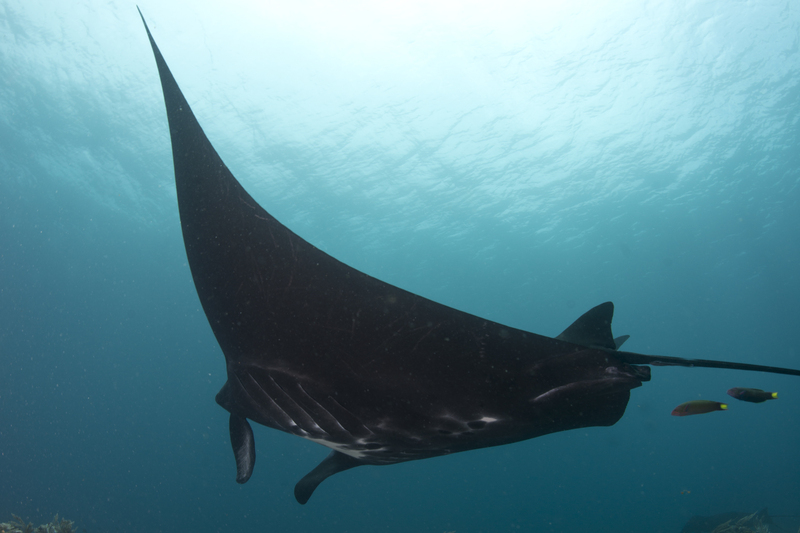 Rival to INRA0022A for the pretty lady mantas, INRA0252A is pretty slick, and even appears to have a Batman shaped “ tattoo” between his gills! We think he should meet INRA0300A – they’d get along well. By adopting INRA0252A you enable us to collaborate with the Marine Megafauna Foundation and help to fund essential research that seeks to further our understanding and protection of Raja Ampat's manta rays, through ongoing population monitoring, identification of critical habitats and advising regarding management & protection.